Yesterday at work I had a stroke of genius while trying to think of what to have for dinner. 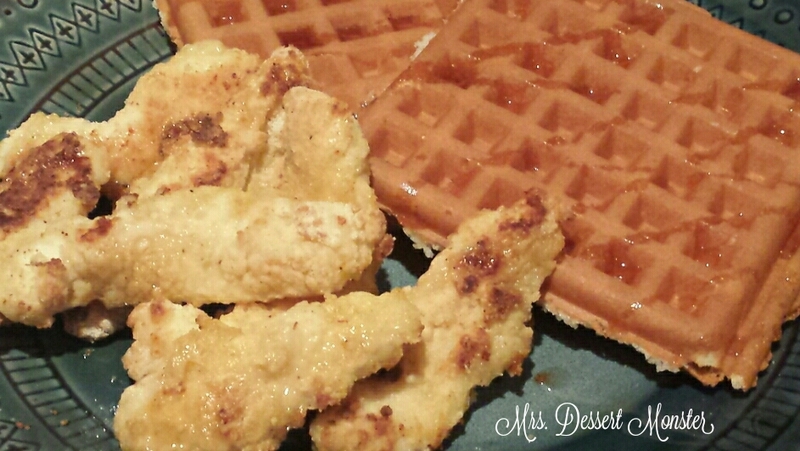 I can’t explain it but all of the sudden a light bulb went off in my head & a voice whispered chicken & waffles. I don’t know if you can tell, but we eat waffles/waffle maker related products a lot. 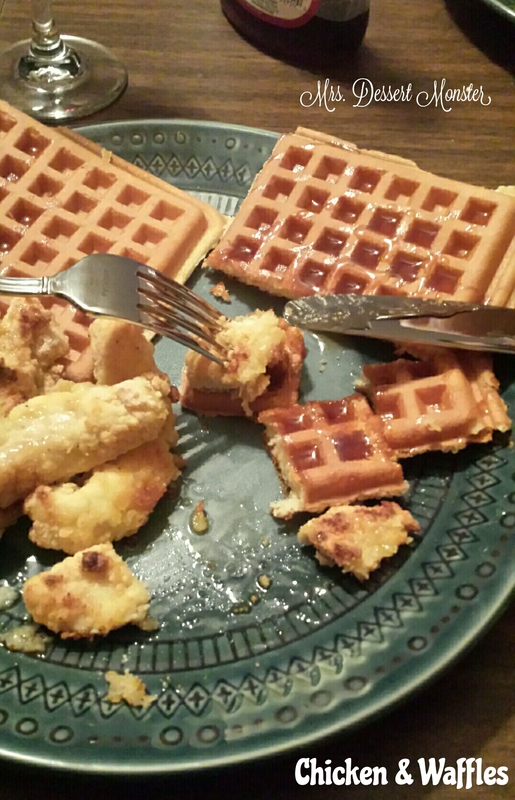 This time we used my husband’s waffle maker (yes, we have two). I have to give Bisquick some credit here. 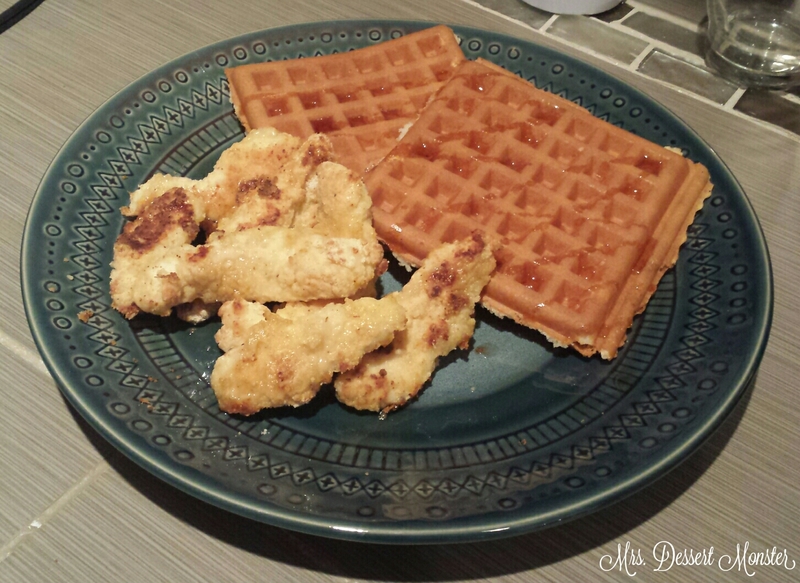 Not only did we use their waffle recipe, but they have a recipe for ‘ultimate chicken fingers’ that is super yummy. And as we found out yesterday, goes really well with syrup (which I guess makes sense). That Betty Crocker knows her stuff! We just might add this to our list of go-to dinners. Haha! It’s soul food. I hadn’t tried it myself until a few years ago but it is delicious! I highly recommend.